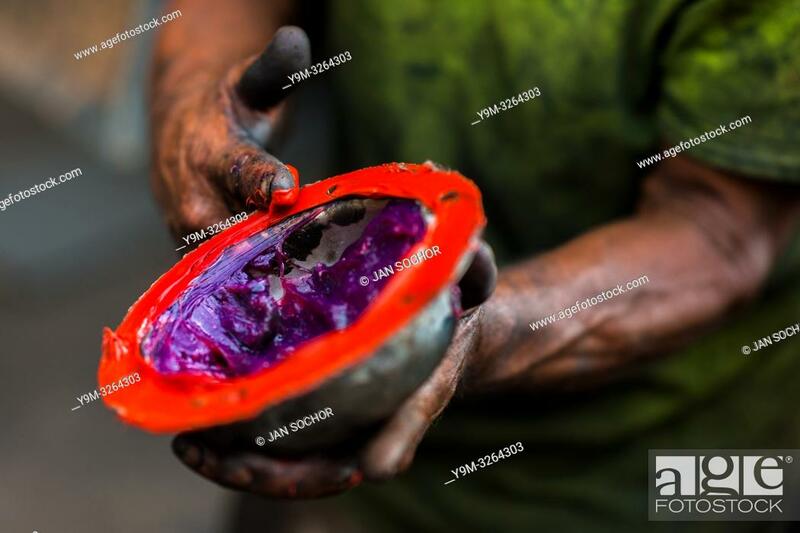 Foto de stock - A Colombian car mechanic applies different types of lubricant grease on a truck axle cap during the maintenance service in Barrio Triste, Medellín, Colombia, 18 April 2018 ... . Barrio Triste (literally the ""Sad Neighborhood""), a working-class district located in the heart of the city, has always been the home to car mechanics, repair workshops and auto parts stores. Dozens of mechanics, the hard working men coming to Barrio Triste everyday from all over Medellín, provide their car related services right on the ground of vibrant streets, often polluted by grease and gasoline and always crowded by broken vehicles of all kinds.